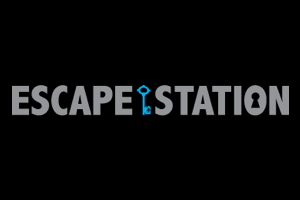 Escape Hotel offers one of the most luxurious check-ins I’ve seen for escape rooms. Their lobby seems straight out of the 1940s, nodding towards the Hollywood Tower of Terror/Twilight Zone. Even the bell boys and girls seemed to possess an aura of the macabre with said era hotel uniforms and dark makeup around their eyes. Production value is top notch, as was to be expected after visiting their website. But like big budget Hollywood films these days, story should not be sacrificed for glamour shots. Formerly the Geisha House, this space offers the most rooms I’ve seen in one place — a whopping 11 rooms… and growing. Located in Hollywood on Hollywood Blvd., it may be hard to find parking on the street but there are several parking structures. A valet service especially for them would tie in nicely to their “hotel” theme. As with any hotel, before you can go to your room you must check in. Come early! The process takes a good 30-45 minutes for six people. This could be due to the fact that although you input your own information on a tablet, the person behind the counter has to manually input it on another system. However, the payoff is pretty cool because once that’s all said and done, the staff takes a photo of you for your “passport”, which allows you to keep track of each of the rooms you’ve completed by stamping it like a real passport. While you wait for your companions to finish registering, you can warm up with some games like Connect Four and Chess. Or, purchase a drink and snack. Before you play the room, you must place all of your personal belongings in lockers. Now you can officially — and finally — enter the room. If you’re new to the escape room craze, the Espionage room (formerly known as “Spy”) is a good one with which to start. A group of six is the perfect number to bring. Before entering, our group of six was split up into groups of two, and they blind-folded us as we entered our three individual cells. As with all escape rooms, communication is super important. Describe what you see to your teammates and use items that you find to help each other escape. I love the concept, but the execution needs a bit more attention. A couple items broke, but luckily our walkie talkie didn’t so we were able to call for help. Aside from that, the props were pretty sturdy and the room itself seemed very believable. It felt like we were in a CIA office complete with a cohesive linear story and a simple through-line on how to escape. 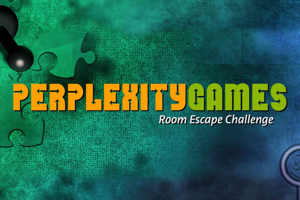 I love the physical puzzles of this room, as well as the brain teasers. All in all, there’s a little something for everyone, so experts as well as beginners can enjoy the room. However, as big as social media is for businesses and how glamorous their website is, I was surprised that they don’t celebrate your victory with you afterwards by taking a photo of your group and posting it immediately to their social sites. Maybe there were too many guests they had to check in? I haven’t played all of their rooms, but I wonder if they just opened too many too fast. There are so many rooms in this hotel, and there’s yet another room vacant for improvement. I have hope that with a few tweaks, they can be among the best in Hollywood. They just have to return to their old Hollywood roots to make the comeback. 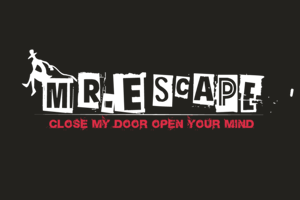 I have done over 40 escape rooms around the world and Escape Hotel is still one of my favorites! The hotel themed lobby is so impressive, and really gets you in the mood! This spy themed room is a good start and you can’t help but come back for more!